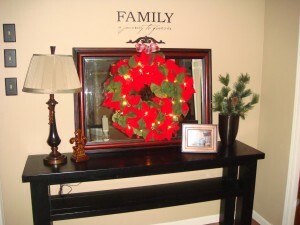 Clean and Classic Interiors » Blog Archive » Wreath Happy! 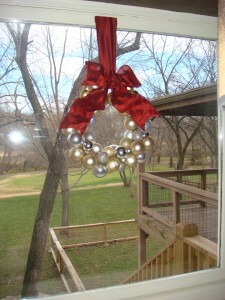 ‘Tis the Season for days of putting up Christmas decorations. 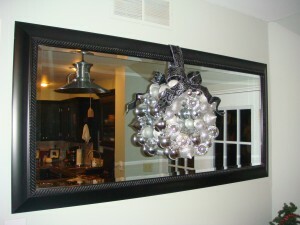 I started decorating the house on Thanksgiving and just finished today! 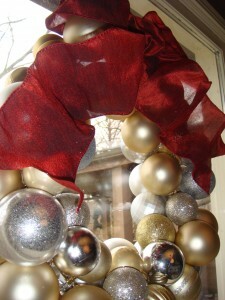 And with all the busy decorating I have come to a clear realization that I am a bit wreath crazy. But I feel better about referring to it as wreath happy. 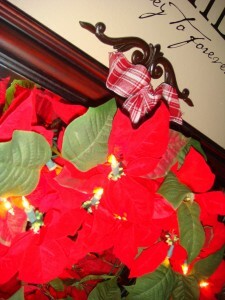 So here is my first wreath purchase I made back in the summer during QVC’s Christmas in July. I actually forgot I even had it until the day I was putting everything up. What a great surprise, right? It lights up so pretty at night at the end of the hall. 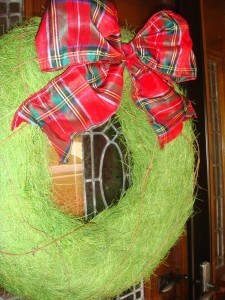 This past weekend we made our annual family girls trip to Nell Hills and this wreath just struck me. It was one of those purchases that you just look at and drool over but don’t purchase. Then you think about it the whole time you are having lunch a couple blocks away so you haul everyone back to buy it. Anyone with me? Or again, just crazy? I love the big bow! 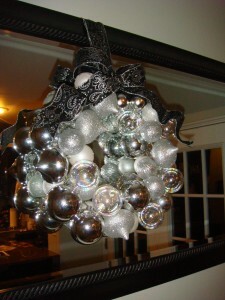 The last one (I’m going to bore you with) on display is a redo of my Eddie Ross ornament wreath. Last year I placed it on my door to the garage which caused a lot of movement of the ornaments which then resulted in lots of ornament casualities. 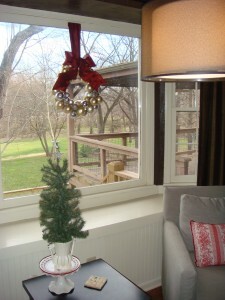 This year, better ornaments and a place smack dab in the middle of our kitchen bay window displays it beautifully! …and my happiness has spilled over across the street at my sister-in-laws house too! 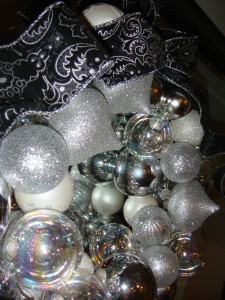 She added some clear ornaments to the silver ones and with a black festive bow - isn’t it stunning?! 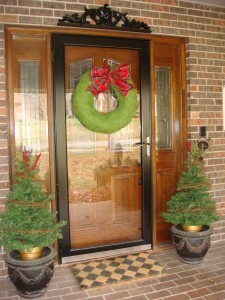 I love both of those Eddie Ross style wreaths. Perfect red bow! Don’t you love the holidays?! Wreath happy - I love it. We’ve got the fever over here, too.